In this episode, I'm joined with fellow podcaster, Madelaine of Ladies on Ludlow. Originally from Germany, Madelaine moved to NYC after graduating from university, with the dream of joining the esteemed fashion world of the city. After working as a designer for big brands, Madelaine realized that the fashion world wasn't as glamorous as it's made out to be. So when she got an offer to go to Shanghai for a design job, she jumped at the chance, without even really knowing what to ... See More expect. Once there, she was fully confronted with just how much waste we create, so after leaving her job in Shanghai, she decided to sell everything and to go backpacking in Southeast Asia. 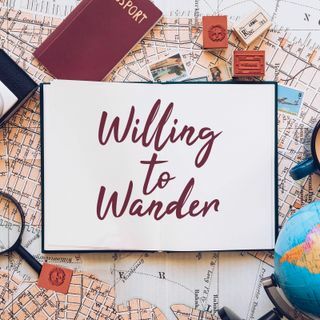 Listen to Madelaine describe her personal journey and how she balances a restless, adventurous spirit with her day-to-day life back in New York City. Check out www.willingtowander.com for pictures from her time in Southeast Asia as well as all of her links.